I’ll be the first to confess, yes, this has been me. 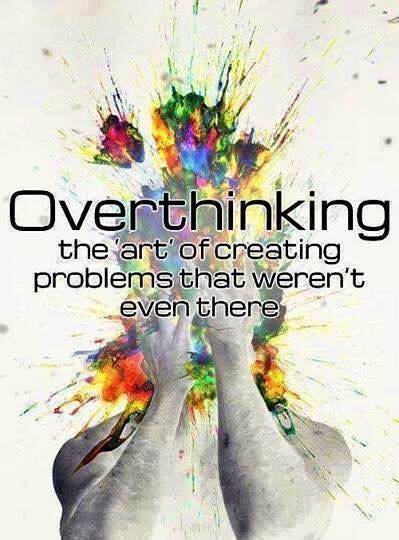 Overthinking occurs for me when I have an important issue or concern to address. Put me in as the mediator, not a problem, but I am definitely not a fan of confrontation. I lose sleep, my appetite, and carry around a tightly bound ball of stress. I rehearse possible scenarios over and over; what the other person may say, what my response will be, I play out all possibilities, none of them smooth, and you know what?? None of them even occur!! The conversation runs smoothly, no feelings hurt, good outcome. Why the hell do we do this to ourselves? As a Kinesiologist and a kinesiology client, I know I react in a particular way because I learnt it way back when. It doesn’t need to be like this though. Kinesiology can assist us in recognising these behaviours and their triggers, and guide us to change our reactions. Take a step toward unlearning something that is of no benefit to you and book in a session with a fantastic Kinesiologist.